Many dogs are avid chewers, and finding a chew that will keep your dog busy for a long time and that he will love is almost impossible. These chews all serve important purposes: helping with dental health, keeping your dog busy chewing, supplying natural minerals for bone and joint health and more. Each chew has a rating based on whether it's natural, how tough it is, how tasty it is, and an overall rating. 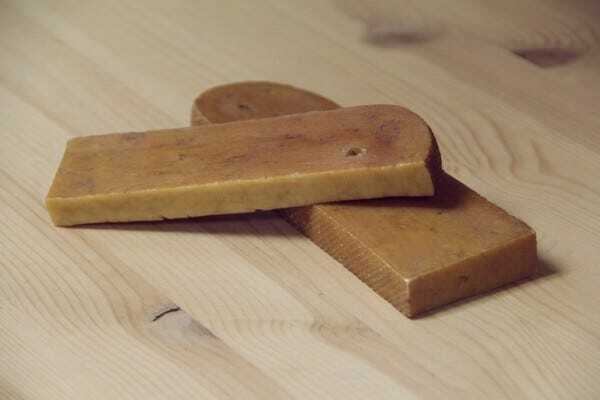 There are also some suggestions to help your long-lasting dog chews last even longer. Rawhide is the most widely known and one of the most affordable chews out there for dogs. One of the most plentiful chews, rawhide comes in an assortment of styles and is available in bleached or natural (and unbleached). Most dogs love rawhide naturally and don't need to be encouraged to chew on it, although you can buy flavoured versions. If you're looking for a rawhide that will last longer, choose pressed rawhide, which is a condensed product, or rawhide that is braided. For your dog's safety and enjoyment, look for rawhides that are an appropriate size for your dog to chew. The entire chew should not be able to fit in your dog's mouth or be swallowed in its entirety, and your dog should be big enough to haul it around. While there has been some controversy over how safe rawhide is for dogs, as pieces can come off and your dog can choke or get an intestinal blockage, rawhide (much like any chew) is safest to feed while you are supervising your pet. Almost any chew could potentially be a choking or obstruction hazard, and pets should always be monitored while enjoying them. 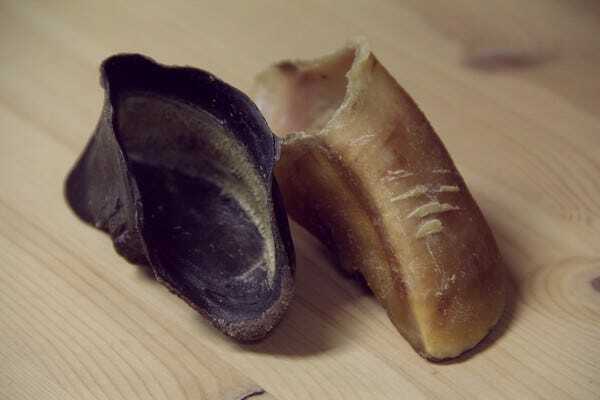 If you have a really big chewer, beef hooves are durable, natural, long-lasting chews that have another unique feature. With a natural cavity inside them, beef hooves can be filled with a stuffing for added enjoyment. Try peanut butter or Kong stuffing. Want the chew treat to last even longer? Freeze the stuffing inside your beef hooves! 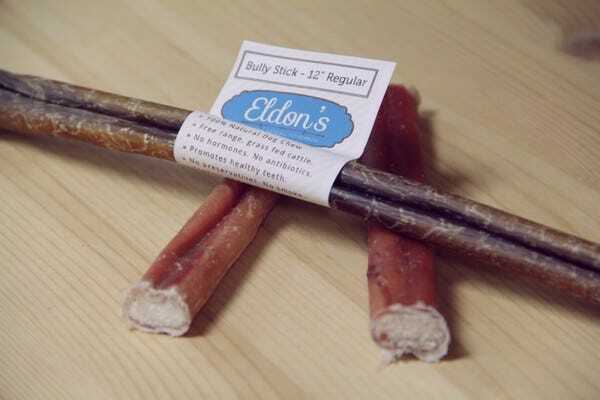 Bully sticks, or pizzle sticks, are a delicious, nutritious chew that lasts longer than most. And dogs love their natural flavour. You may not want to know what bully sticks are, but feel assured that they have a high protein content, are low-fat, and contain no carbohydrates or grains. While bully sticks can be a healthy long-lasting chew for your dog at 9-22 calories per inch (88kcal for an average chew), too much can still make your pet pack on the pounds. As with any treat, you should feed your dog a little bit less food, taking into account that treats add calories. Limit bully sticks to one per day, remembering also that all treats should never make up more than 10% of your dog's daily calories. Most bully sticks have a certain smell to them and can be messy, but there are many varieties you can buy – even stink-free! For dogs who love to chew all day, a chew that cannot be consumed makes sense for their health. Well-made rubber dog chews also tend to last a lot longer than most consumable chews, and are still a reasonable price. If you buy a good-quality rubber chew, your dog will likely get the most chew for your money. If you're looking for natural, stick with varieties that are 100% rubber. 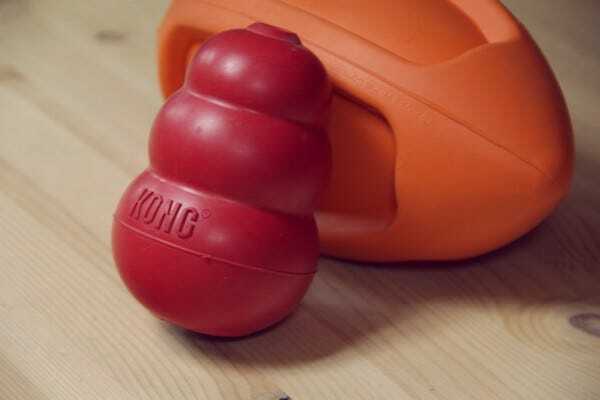 Kong, one of the top brands for rubber dog toys, has a wide variety of dog-tested chews, even Kong Extreme for the toughest chewers. Kong also has special treats, consumable chews, and stuffing that can be used with their chew toys, making them more enticing for dogs. A new flavour can be just what it takes to revive an old toy into a favourite again. The downside to rubber chews is that some dogs just don't like them. Rubber has a strong smell and a different texture, so if your dog is picky, he just may not pick it up. 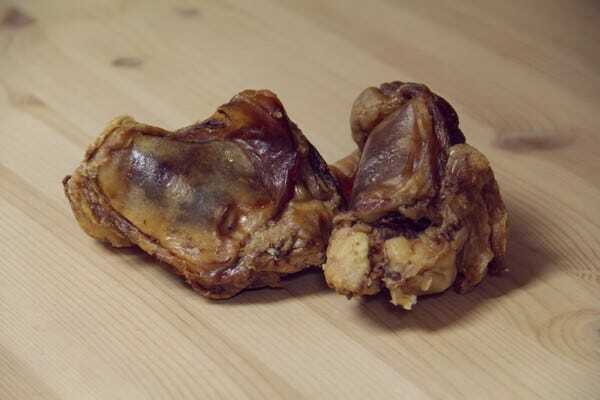 Beef kneecaps (or tartar bones) are meaty bones that contain a lot of cartilage, which is perfect for busy chewers. The natural meat flavour keeps your dog interested for longer. 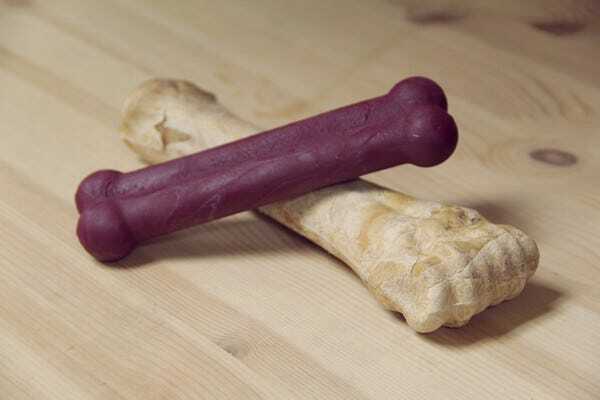 Since they are made of cartilage and bone, they can last a lot longer than many natural chew treats for dogs. The cartilage is great for maintaining your dog's own joints and bones. The only thing you'll have to watch about these chews (and many natural ones) is that they can be messy, so you might want to feed them to your dog outside or on a washable surface. Also, as with other natural chews, beef kneecaps can get smelly. Beef ribs are another natural dog chew that is perfect for tough chewers. They still have plenty of beef flavour, but not a lot of meaty parts for your dog to chew off like kneecaps do. 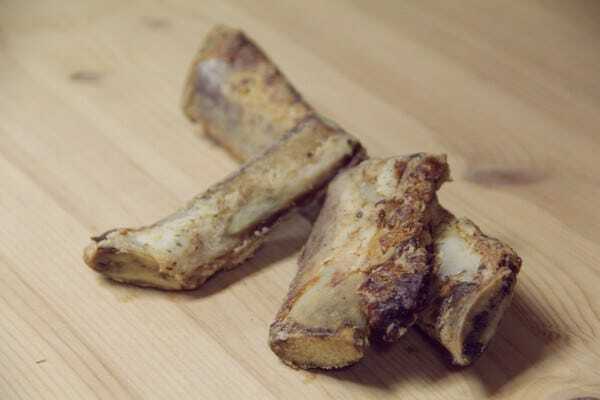 In this way, beef ribs can last longer as a chew, but may not interest your dog for as long as something that has pieces to chew off. Combination toy and chews combine the best of rubber toys and consumable chew treats. The rubber chew holder is stimulating on the gums and abrasive on the teeth, which helps with plaque, while the chew keeps your dog interested in the toy for longer. Since the chew is in the center of the rubber toy, it can take longer for your dog to eat than if it were just on its own. Simply replace the refillable chew when you want to give your dog a new one. For a natural chew, look for 100% rubber and natural inserts, such as Himalayan dog chews. An inexpensive and universally loved chew and toy is the rope bone or chew. These toys consist of cotton ropes generally braided into a bone shape. For a natural chew, look for 100% cotton fibres. As your dog's teeth rub on the fibres, plaque and bacteria that cause bad breath and gum inflammation are removed – just like “flossing” your dog's teeth. 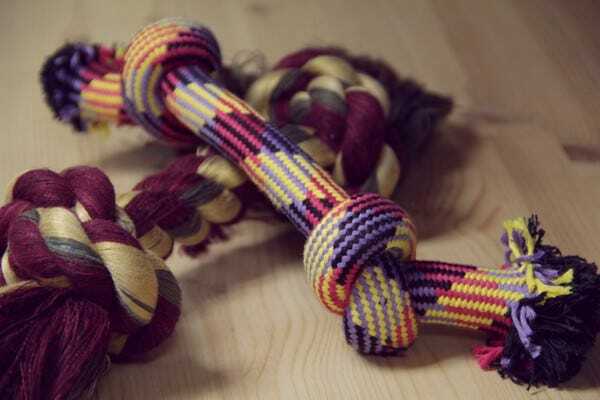 Dogs love chewing rope toys, but they'll love it when you play tug-of-war even more. Nylon chews are an excellent long-lasting dog chew choice as they are durable. Nylon chews often come in different textures and shapes and with special flavours to interest your dog. They can even help clean your dog's teeth. Flavoured nylon bones make good chews for overweight dogs. Scented, yummy-tasting varieties keep your dog interested longer than plain nylon. Elk antler gets our top prize for longest lasting natural dog chew. If your dog just can't get enough to chew, go for elk antler. Since it doesn't splinter, it makes a great natural teether for puppies. Chock-full of natural minerals, these renewable chews (elk shed them every year) are a top choice for all chewers. The chondroitin sulfate found in elk antler is particularly beneficial for your dog's bone and joint health, and is often an important component of joint health supplements. Elk antler won't stain or smell like other natural chews and it is generally more interesting to dogs than synthetic chews. While elk antlers can be higher in calories, your dog won't be eating them in one sitting, so there should be no cause for concern. 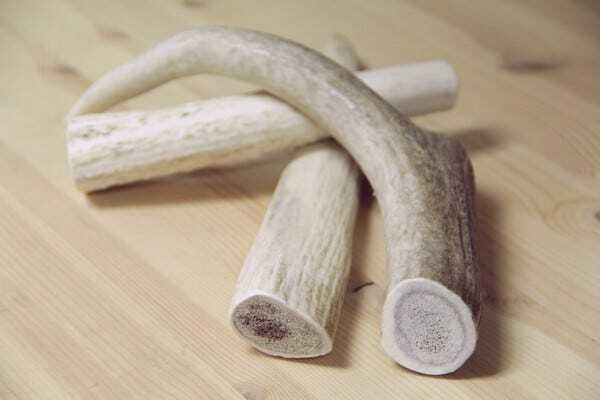 When you are choosing elk antler, quality matters. Cheaper elk antler can splinter easily and split, which makes it hazardous to your dog. As with any chew, take it away from your dog when it gets to be small enough to swallow. The only complaint that comes from elk antler is that some dogs, particularly older and pickier dogs, just aren't that into it. However, there are some things you can do to pique your dog's interest. Soak the antler overnight before giving to your dog. Yak cheese is a hard, natural product that many dogs find extremely tasty. 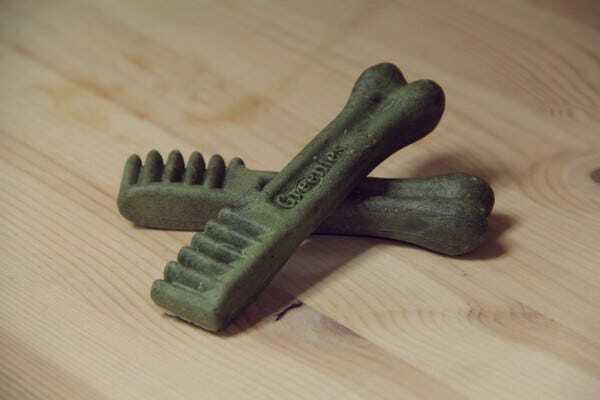 Non-staining and odour-free, it makes an excellent natural chew choice for any dog. Low-fat and more digestible than rawhide, bones, or antlers, yak cheese is irresistible to most dogs. As with any natural chew, always monitor your pet with it and remove it if the chew is small enough that your pet could swallow it whole. Also, watch how much yak cheese you give your dog. While yak cheese is low in fat, it is high in calories. If the yak cheese chew gets too small for your pet to safely chew on, you can microwave it on high-power for 45 – 75 seconds, let it cool for 2 minutes, and give it to your dog as a soft, puffy cheese treat. Dog dental chews are a fantastic dual-use product that you and your dog will love. Containing ingredients that freshen breath, dental chews are also abrasive on the teeth and gum surface to prevent the plaque-buildup that causes gum inflammation and can lead to lost teeth. The only problem with most dental chews is that they just don't last that long. However, they work great as a once-a-day treat that your dog is sure to look forward to. Since dog dental health is so important and often-overlooked, we are quick to recommend anything that helps make that process easier. There are a number of popular chews for dogs that are made out of cornstarch or other starches and flavourings. One of the upsides to these types of chews is that they are very digestible, and they break down easily in your dog's system, so they carry little risk. However, edible bone chews don't last a very long time, particularly if you have a moderate chewer. Most dogs like edible chews, but they often have few natural ingredients, and they are made predominantly of corn, which can be an allergy concern. If your dog just loves these and you'd like to find one that's less of an allergy concern, find an edible bone made of potato starch (or another alternative). Don't let your dog chew on one chew at one time for too long. They become soft as your dog chews and won't last as long. Buy quality chews. Quality chews use better ingredients – that goes for the natural chews, too. Quality can be hard to judge just by looking at a product. However, if the price seems too good to be true, or the chew doesn't hold up as long as others you've tried, chances are that low quality is to blame. Change up your dog's chews once in a while. Don't let your pet have access to their chews at all times. It's safest for your pet not to be able to have them unsupervised. Also, if you change up the chews that you offer to your pet, they will likely be more excited about them and their interest will last longer, though the chews may not technically last any longer. Carefully select the times when you give your dog a chew. Dog chews can be great dogsitters when you need to get something done, but don't overdo it. If the times you give your dog a chew are special and don't happen all the time, your dog will be more interested in the chew and happily occupy themselves with it. Use incentives. If your dog just isn't that into a chew, there are usually some tricks you can implement to get him more interested. 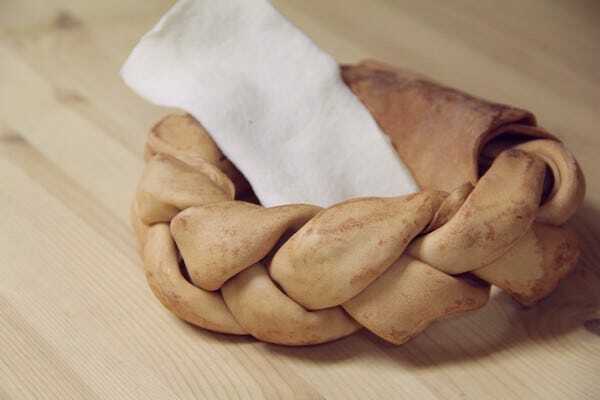 Rawhides can be soaked in meat broths and frozen. Elk antler can be filed to freshen scent. When trying out a new chew for your dog, let it be the only treat you feed her for a few days. Don't feed new chews when you are switching your pet's food or at any stressful time. This way, you can easily see if your pet has a reaction to the chew. Remember, it can be normal for your pet to have loose stools following a new food or chew, but these should clear up once your dog is used to the new treat. Always include chews in your dog's daily calorie intake. While some chews have negligible calories, and some have none at all (rubber), the calorie content of others can be quite high. For this reason, you should also limit the number of chews your pet has in one day. While many chews are healthy additions to your pet's diet, none are a replacement for a nutritionally complete food. Limit all treats to 10% of your pet's daily calories. Certain chews will take a lot longer for your dog to consume than others. For example, you can be sure that while elk antlers are 160kcal/100g, you can be sure that your dog will not be eating the entire chew in one sitting. Calories are not all considered equal. In addition to looking at your dog treat calorie content, also look at what types of calories they contain. Treats with high protein and moderate fat are healthier and will keep your dog full longer than treats that contain mostly carbohydrates such as many grain-heavy biscuits and chews. Choose an appropriate-sized chew for your dog for their safety and to make your chew last longer. Most chews have recommended sizes. If your dog is an aggressive chewer, always choose a larger size. Remove any hard chew if your dog is baring down on it trying to snap it in half. Very hard chews such as elk antler, yak cheese, and beef hooves can damage or even break dog teeth if chewed inappropriately. 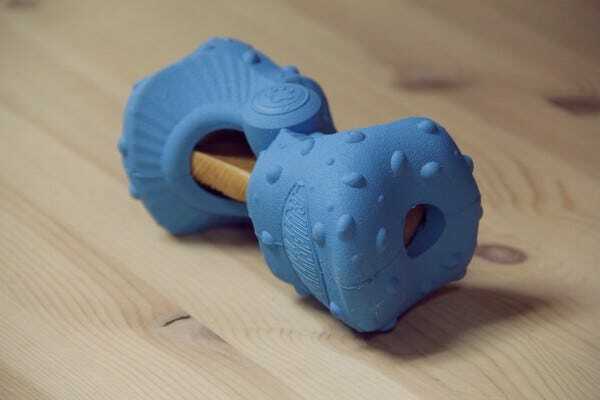 Gnawing is a gentler, safe way to enjoy hard dog chews. Always look at a chew before offering it to your dog. File sharp edges and never give your dog a piece small enough that he could swallow. Take any chew away that gets too small for your dog so that he does not choke. Always watch your dog. No chew is 100% safe. Always monitor your dog when she has a chew and never leave your dog alone with one. It's tempting to give your dog a chew when you are leaving them, but there are many risks that chews can pose to a dog, such as choking, splintering and perforating, ingestion of indigestible parts, and breaking of teeth. Don't let your inattention end in a trip to the vet's. There are so many pet chews out there, they can be difficult to sift through for your dog. Find out what your dog needs uniquely, so that you can choose the best long-lasting chew for your dog. Whether it's elk antler, yak cheese, or beef kneecaps, there's a chew out there for them.